I love to read, fiction especially. I love the smell of new books. Heck, I love the smell of the old books. I love it, but I don’t do it anymore. I mean, I’ll certainly pick up a People Magazine in the waiting room at my dentist’s office and read all about the new child that Brad and Angelina just adopted, but I rarely ever pick up an actual, legitimate book anymore. Part of it is that I know myself too well. If I like a book, I tend to get so wrapped up in it that I can’t do anything else until I finish it, and then everything around me suffers (including beauty sleep and even my poor children’s meals). But I was recently inspired by a local announcement of an author coming to town to preview her new book. Rachel Simon is the author of the critically acclaimed Riding the Bus with My Sister which is a memoir about her taking public transportation with her sister who has a developmental disability. 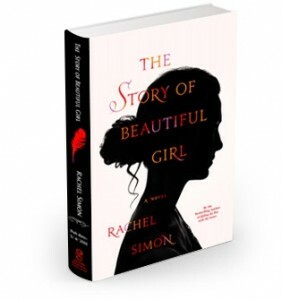 Her new book is called The Story of Beautiful Girl and is set in 1968. The premise is the relationship between a young white woman with a developmental disability, and an African American deaf man who are both locked away in an institution but are deeply in love and manage to escape and find refuge in the farmhouse of a retired schoolteacher and widow. I’m really excited to check out both of her books actually, and decided to check out other popular disability-related books out there, specifically in fiction. What caught me by surprise though was how many classics and other very familiar titles were listed when I searched for keyword disability. The Hunchback of Notre Dame, The Secret Garden (a childhood favorite of mine), Of Mice and Men, and then some very familiar authors like John Grisham and Dean Koontz. But here’s what else I found from fiction of more recent years, using the descriptors from Barnes and Noble, but please share your favorites with me too! I love to read too, and this list is great! I recently read a Young Adult book about a boy with Cerebral Palsy, called Stuck In Neutral by Terry Trueman. I recommend it. Great, thanks for the recommendation! Thanks for mentioning my book, Blythe. Unfortunately, I wasn’t able to get to Chicago due to the snowstorm, but I’m dearly hoping to get back there before long, and when I do, maybe I’ll get a chance to meet you. I was so glad to see you mentioned these other titles, several of which I’ve read and liked. Another one I’d like to add is “The Speed of Dark”, by Elizabeth Moon. Would certainly love to meet you when (if!) you do get to Chicago and thanks for the other book recommendation. I’ll have to check that one out too!